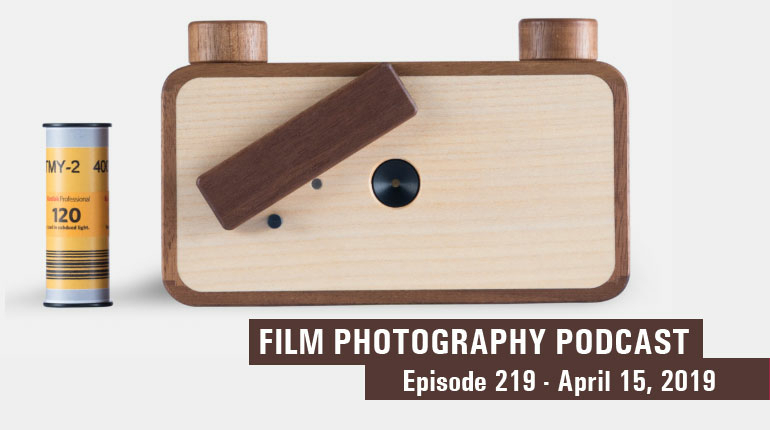 Featured topics: NuBox 1, New prices on Kodak Bulk Rolls, a 126 update, listener letters, Cinestill Giveaway Winners, Book of the Show, and Much more! above: Sample of two of the NuBox 1 cameras! Hey folks! It’s the Internet Radio show for people who are obsessed with, in love with, or getting into film photography! In the studio, today with Michael Raso is Mark Dalzell and John Fedele! And what a show we have for you today, we’re talking up the NuBox 1, New prices on Kodak Bulk Rolls, a 126 update, listener letters, Cinestill Giveaway Winners, Book of the Show, and Much more! 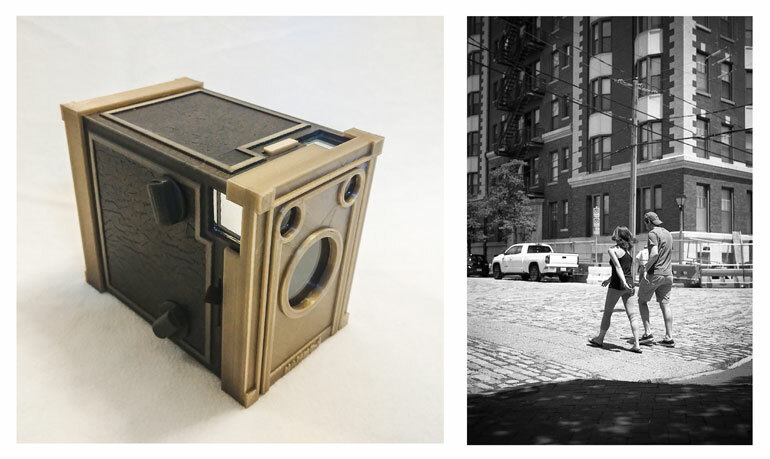 We are excited to introduce a modern take on the traditional box camera. Yes, you read that right. The box is back! Hamm Camera Company, based out of Virginia Beach, Virginia, had the brilliant idea to modernize a 100-year-old design. Over the past few weeks, we’ve had the opportunity to speak with Andre Domingues, Public Relations Director for the company, and we are very impressed with the NuBox 1, the company’s debut 6x9 medium format camera shooting on readily available 120 film. The Kickstarter just launched HERE! The NuBox 1 offers a simple point-and-shoot experience for the novice while rewarding the savvy the photographer with the beautiful shallow depth of field effects. NuBox 1 will ship with a standard field of view lens, and users will soon be able to change to a wide-angle or telephoto field of view by simply switching out the lens cartridge before loading the camera. It will also feature a shutter speed of 1/200 sec and apertures that range from f/5.6 to f/32, preventing motion blur and allowing for shallow depth of field for portraiture. At f/22, everything seen in the viewfinder from seven feet to infinity will be in focus, giving beginners a true point and shoot experience. Portrait enthusiasts can take advantage of the widest aperture of f/5.6 to frame their subjects between six and eight feet away, resulting in a very shallow depth of field and a pleasingly blurred background. In addition to the 120 version, Hamm is working on both an Instax and 35mm version of the NuBox 1! Oh and with a starting price of 79.99$, you really can’t go wrong! You can follow along with all things Hamm Camera by visiting their website, www.hammcamera.com or on Social Media: @TheBoxIsBack! The Kickstarter just launched today! You can take a look and give them a back at kickstarter.com/projects/theboxisback/the-box-is-back-modern-modular-box-camera! 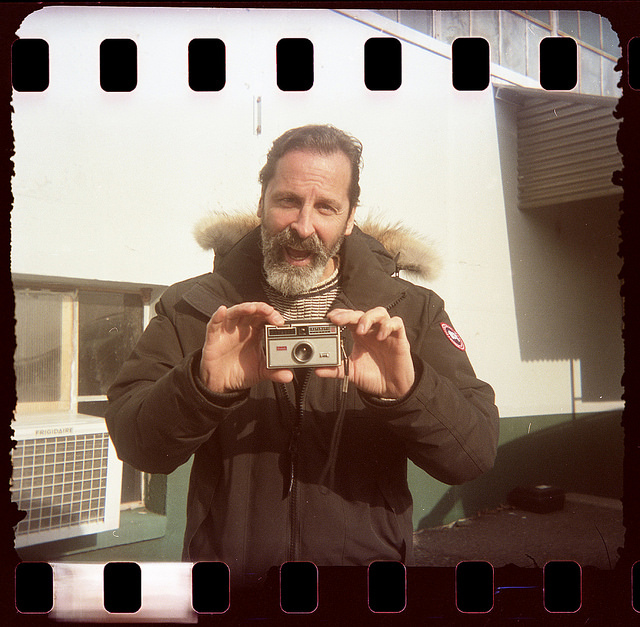 It’s no secret, the FPP store is your best spot to get Kodak film and at the best prices. And we’re happy to report that Kodak has dropped, that’s right DROPPED prices on bulk 100 foot 35mm rolls. 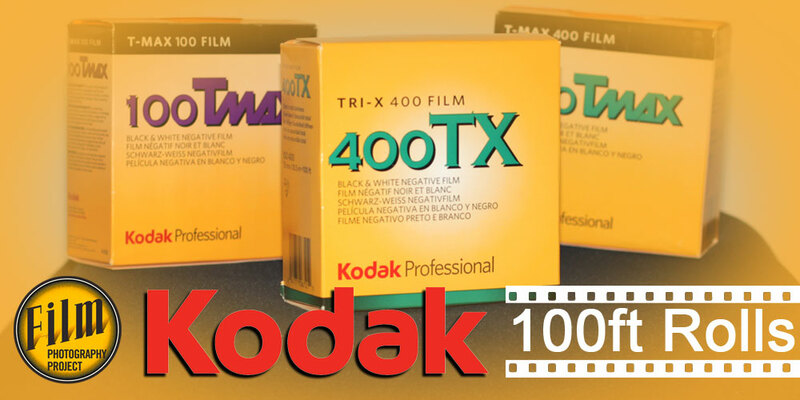 That’s right, you can now get 100’ of fresh Kodak film at the best prices through the FPP store! Not to mention all our other Kodak film from 16mm to 8x10! We’re still on a 126 kick here at the FPP! And the best news is that we have a fresh batch of Fakmatic adapters plus (coming soon) our own reloaded 126 cartridges! That’s right, fresh, reloaded original 126 cartridges complete with backing paper. We’ve got them new on the FPP store, loaded up with either Kodak TMax 100 or Kodak Portra 160! above: John Fedele holding the classic Kodak Instamatic 100 camera. Image shot with the FakMatic 35mm to 126 Adapter / Kodak Instamatic X-15F / Svema Color 35mm film. 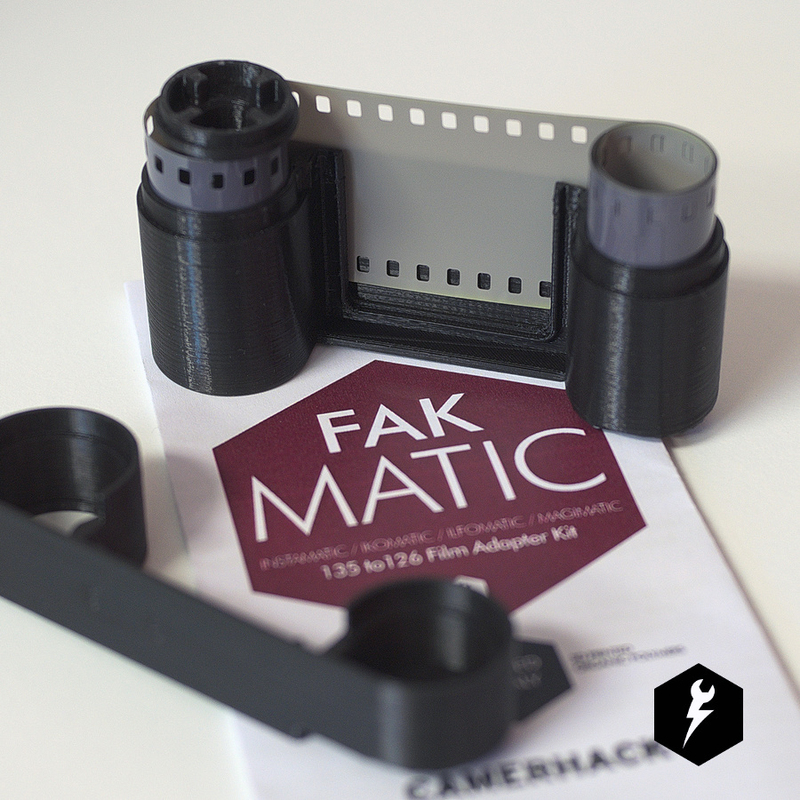 The FakMatic is imported from CameraHack Italy and now available in the FPP on-line store. One of the biggest trouble in these cold winter days is keeping our chemicals at a constant temperature. While not too important for black & white, it’s fairly important for colour processing. Well, there are a couple ways to keep it that way other than an expensive Jobo setup. At the top end there are a couple options like the Sous Vide water oven (which can also cook a mean steak according to Mark) or the Anova Precision Cooker. But if you’re a little lean on the wallet, a simple thermometer and a fish tank water heater or a cheap slow cooker/crockpot can be used to make your own water bath with controllable temperatures. An FPP listen has a pretty sweet project on the go! He’s been working on collecting self-portraits of photographers doing the typical mirror shot with their 35mm cameras! If you’d like to join in head over to www.weonlyspokeonce.com to see the project as a whole and join in! above: Chompy and the Like-A paper pinhole camera that you can make! 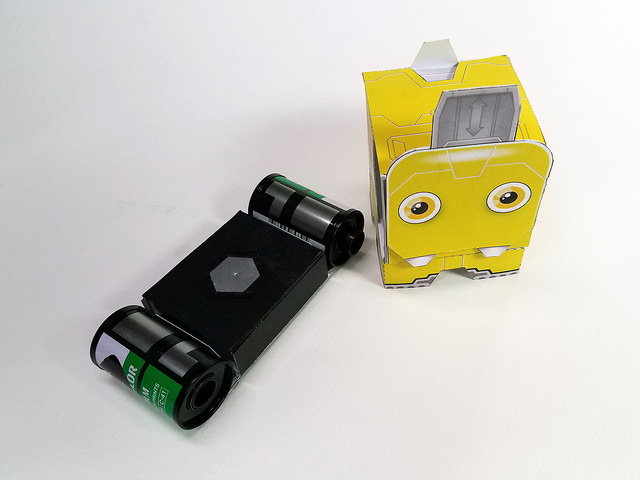 Grab the awesome, bargain book BUILD FUN PAPER CAMERAS! On a recent trip to Canada Mark went to his favourite tool store, Lee Valley Tools and found this fun book in the clearance bin. Build Fun Paper Cameras, it’s part book, part craft, and part camera. 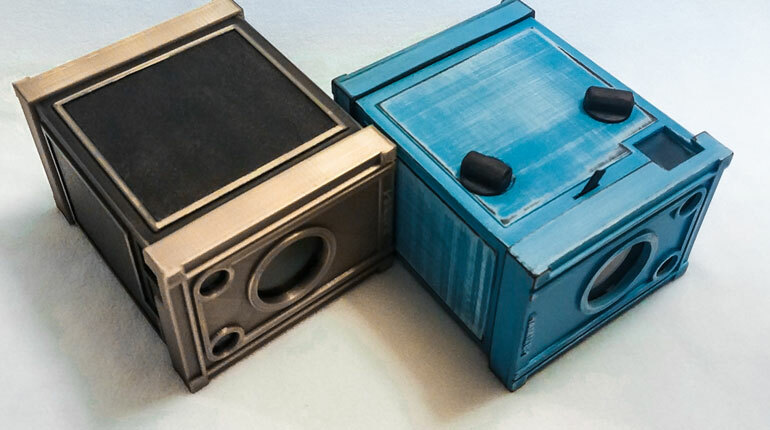 And yes, you can actually produce working pinhole cameras. The book speaks to everything you need to know about the art of pinhole photography and the included CD-ROM has the plans which you can then print out on cardstock to build your own cardstock camera. Now the instructions are too clear Mark explains, but with a bit of patience, you can get it. Of course, you don’t have to try and find a clearance bin, you can buy them online through Amazon! Other than the Hamm Camera, what else has been on the FPP radar for crowdfunding campaigns. Well there are two recent ones that ended. The first was the success Reflex a modern SLR that features interchangeable Lens mount is now working towards full production. The second, the Elbaflex sadly was unsuccessful but you never know, we might see a relaunch of the Elbaflex, that was based on the Kiev 19 in the future! But what about new campaigns, well Mark came across two, the first is from Stearman Press, the fine folks that brought us the SP-445 a compact 4x5 processing system (which is awesome), but the design does make it a bit unstable and prone to tipping. Well their new campign over on Indiegogo is for a base which doubles as a drying rack. It ends about a week, so if you’re interested head on over! The second isn’t for a camera, but rather a cute line of enamel pins shapped like classic cameras like the Argus C3, Olympus 35SP and Rolleiflex, they’ve already met their goal but if this interests you, head on over to their Kickstarter page. Of course if you’re into that sort of accessory, why not check out Shoot Film Co while you’re at it! above: Students from Pickerington High School Central in Pickerington, Ohio sorting an incoming batch of FPP donated cameras! 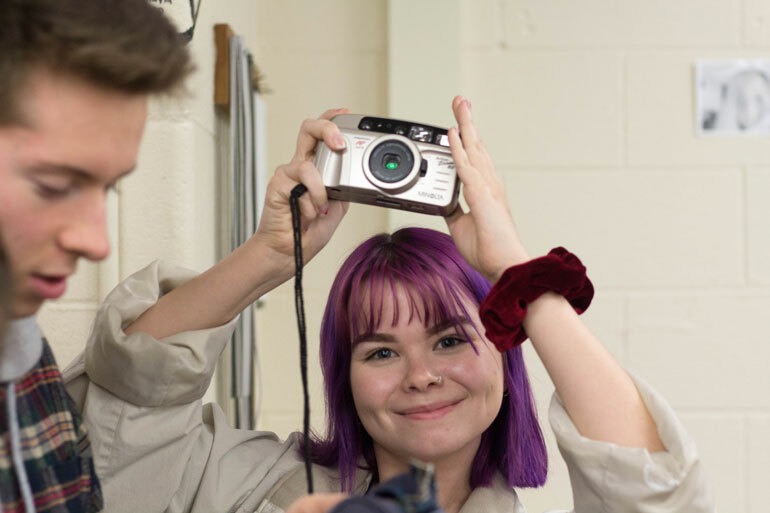 To help support our efforts of getting great cameras in the hands of students and educators in need, Hamm Camera Company reached out to us to donate retail units to our Camera Donation Program. We at the FPP are very excited about this opportunity and thank Hamm Camera Company for joining us in spreading analog photography education around the world. Please read more about our School Camera Donation Program HERE! And that’s if for this show, but we’ll be back in a short few weeks! Why not toss us a line in the meantime, we’re at podcast@filmphotographproject.com or join in our awesome community over on Flickr! Until then, it’s longtime FPP super friend Darren Riley to sing us on our way!